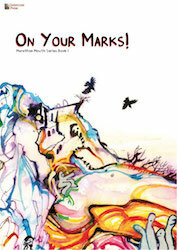 On Your Marks! (Marathon Mouth Series book 1) is a student-centered, grammar / function-based English conversation text book designed for high school to college level conversation classes of more than eight students.The cooperative-learning, student-centered methodologies featured create a holistic approach to language learning that will benefit students who have studied English for a number of years, yet lack the confidence and / or ability to speak. 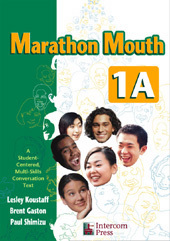 The text maximizes student on-task time in the classroom with non-threatening, confidence-building activities. Two information gap activities conducted simultaneously to eliminate the “echo” effect and provide additional practice opportunities. Interviews, class surveys and find someone who activities with significant student preparation, optimize student classroom speaking time in the target language in a meaningful way and places responsibility for learning into their own hands. Listening activities with peer correction expose students to focused listening practice and build comprehension. “About Me!” sections allow the student to personalize the target language. “Teacher’s Choice” sections allow teachers to extend personalization aspects of the text. 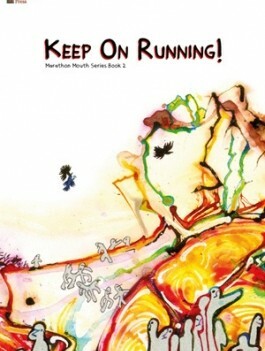 View cart “Marathon Mouth 2 Keep On Running | Teacher’s Edition” has been added to your cart.